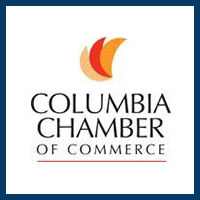 Don’t just take our word for it — see what the rest of Columbia and the central Missouri area are saying about Keeping Good Company Senior Care at Home! “It is my pleasure to be associated and work closely with Lorrie and Larry Schilke and their team of dedicated caregivers. Their focus on each client’s individual needs is exemplary and we are proud to have Lorrie and Larry as fellow members of The Senior’s Choice. 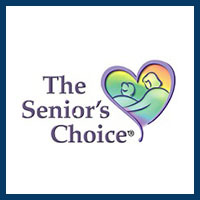 We at The Senior’s Choice support more than 120 in-home companion care companies around the world and we take pride in the standards of excellence common among all our members. “Thank you for the opportunity to share my thoughts about your service. It is my honor. 2014 was turning out to be a stressful year. Both my parents had been living with me for more than three years. My mother’s health was declining and I was at my wits end. I called Keeping Good Company and Lorrie Schilke took the time to really get to know my needs as a caregiver. She came over and comprehensively compiled my mother’s history, inclusive of health and life history. By the end of the week, I had a specialized caregiver that was able to provide exemplary care while I was at work. KGC gave me the tools to communicate efficiently on all aspects of mother’s needs, and it allowed me the ability to focus on my work instead of worrying about them at home. My caregiver came to be an integral part of our family. She not only ‘did her job’, but truly demonstrated integrity, commitment, and love for my parents. She would take time to help with the house as well as care for mother and that provided such relief. 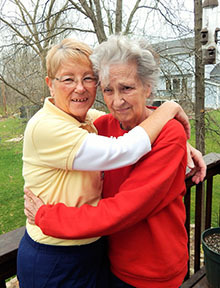 On March 27, 2014, I went to work and early that afternoon, had a call from Lorrie Schilke…”your mother’s breathing is very bad…I think you need to go home..” That afternoon, Mother traveled to her final home. KGC’s care didn’t end there. Mrs. Schilke came to ensure that our family was ok, took extra time to come to Mother’s funeral and followed up with us afterwards as well. 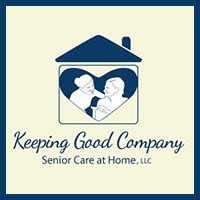 It has been a distinct pleasure to have Keeping Good Company Senior Care Services in Columbia Missouri (owned by Larry and Lorrie Schilke) assisting with the care of John and Jane Smith* at their home*. Lorrie has been very dedicated in focusing on the needs of this loving couple. She has called and comes by often to check on them and the care provided by Keeping Good Company to make sure it is the best possible. Each of their care givers has been extremely caring, knowledgeable, and kind. Keeping Good Company has been very helpful in providing additional (unscheduled) coverage when needed. I am never left in a bind; they always come through with whatever is needed to keep the 24/7 coverage on my end. They make John and Jane* very comfortable in their own home. Their greatest wish was to never be separated in their aging years and Keeping Good Company has made this possible. I would not hesitate to recommend this company to friends and acquaintances. 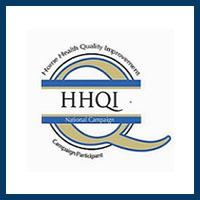 I feel that they go the extra mile with checking out their caregivers and have mandatory health training classes. This gives the Smith* family peace of mind. -Debbie Norris, LPN, and family friend and caregiver. *Names and locations have been changed for privacy.